Welcome to Life Hacks Part 2! Did you miss Part 1? Let’s remedy that! 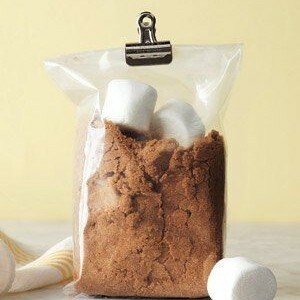 Click here to read 50 more helpful life hacks worth knowing about! What in the world is a “life hack”? Unlike the unpleasant sound of the term, it has nothing to do with coughing fits or chopping something to bits–although I bet we could find some life hacks to help with both of those. 😉 A “life hack” is defined as a strategy or technique adopted in order to manage one’s time and daily activities in a more efficient way. 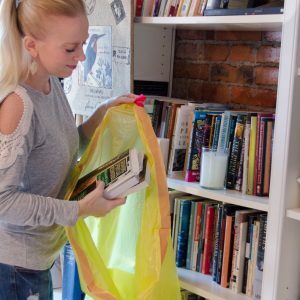 Simply put, life hacks are tips and ideas that make your life better in some small way! 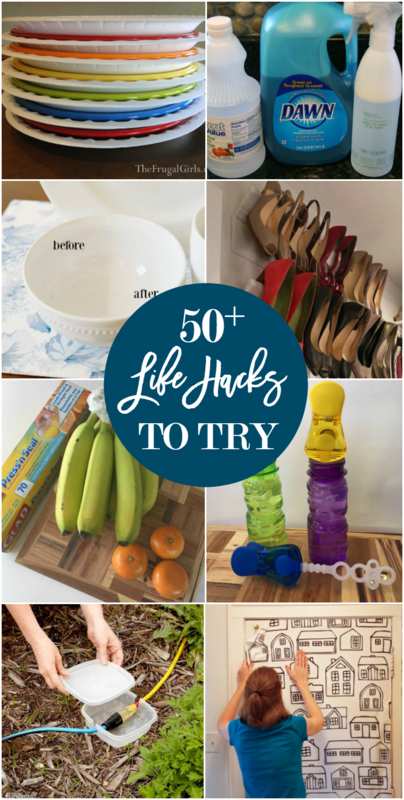 I’ve rounded up over 50 (more) of my favorite hacks for you to enjoy in the following categories: home decor hacks, food hacks, cleaning & organizing hacks, beauty & fashion hacks, and parenting hacks. Don’t feel like flipping through all 50+ hacks? No problem. Click on the links below to be taken directly to your preferred category. To see the full tutorial for each hack, please click on the original source link (blue words) and a new page will open with the exact directions, or further clarification for the individual project. If you have a tip that you’d like to be featured in the future, please feel free to comment at the end of the post or contact me. Pin your favorite tips from the original sources and let me know which tips you’ve tried and which are your favorites! 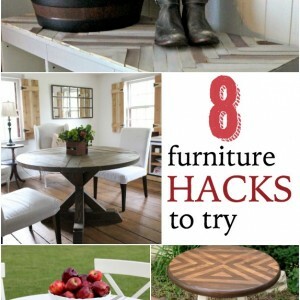 This recipe to make a chalky-type paint adheres to most pieces of furniture without the need for priming or sanding. 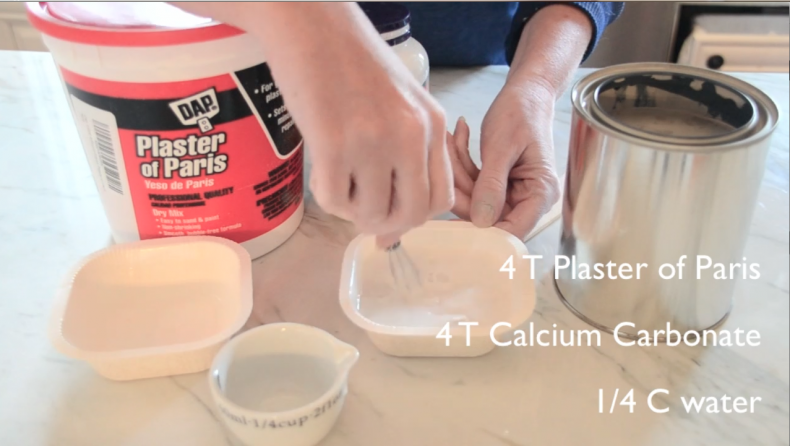 You can use it with any color of latex paint. Click here on Home Stories A to Z for the full directions and to see what I painted with this recipe! It’s one of my favorite projects from this year. 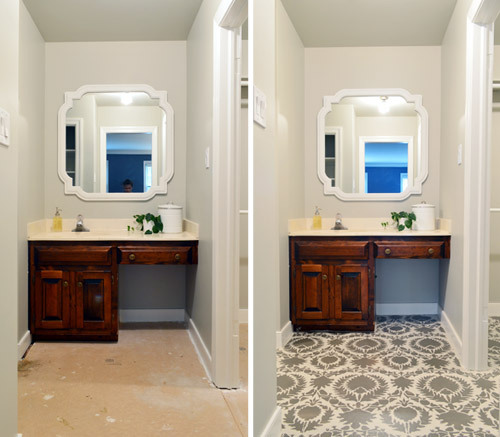 This is a great flooring hack to add to your arsenal of DIY ideas! 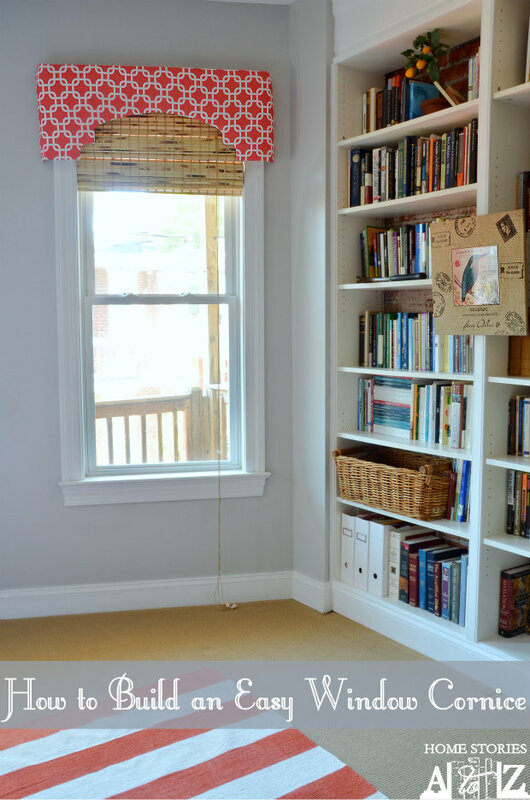 If you don’t currently have the budget for new flooring but can’t stand that old frieze carpet, consider painting your subfloors for an inexpensive and fresh look. 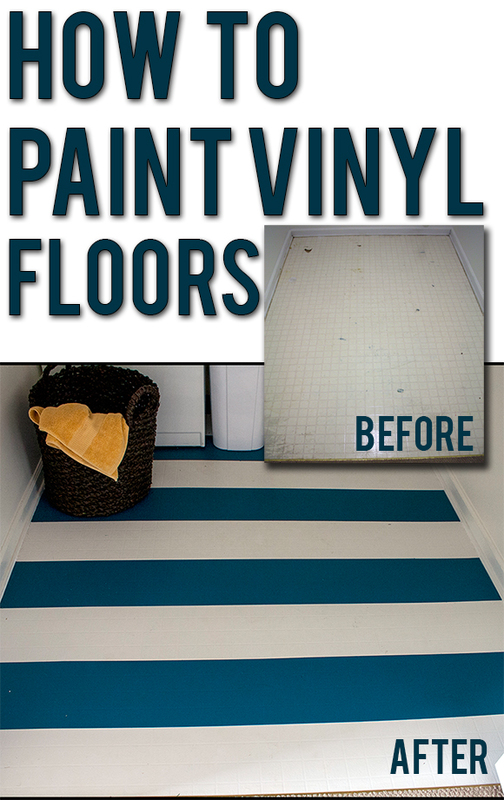 If you have vinyl flooring, you don’t need to rip it up to get to the subfloor. You can paint directly over the vinyl! Create gorgeous, inexpensive, and oversized photos for your walls with this photo hack! 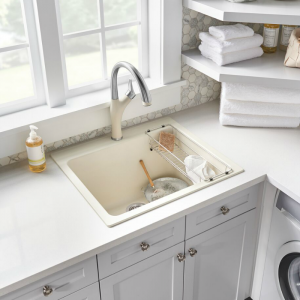 Find the full instructions at Home Stories A to Z. 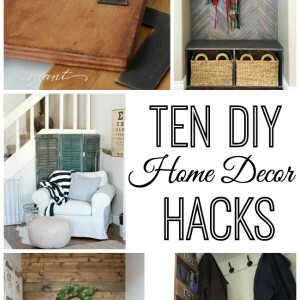 This is a hack that every DIY decorator should know! Two cloth napkins sewn together create gorgeous toss pillow covers. You can also open up one side of a placemat and fill with a pillow form to create a cute pillow cover within minutes. 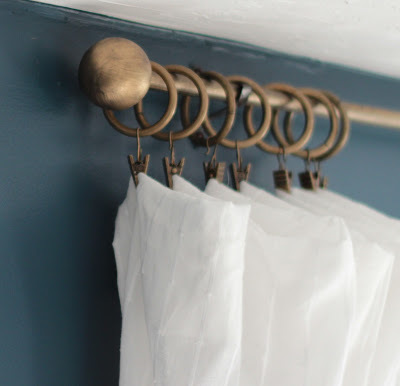 Use PVC pipe, a ping pong ball, and spray paint to create beautiful and durable curtain rods. Shine Your Light has the full tutorial for you! 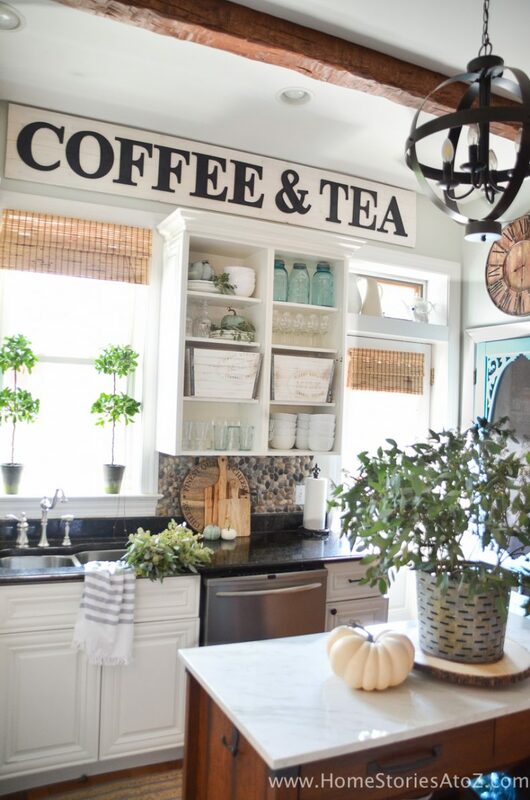 Learn how to make a “vintage” kitchen sign with these easy to follow step by step tutorial here. 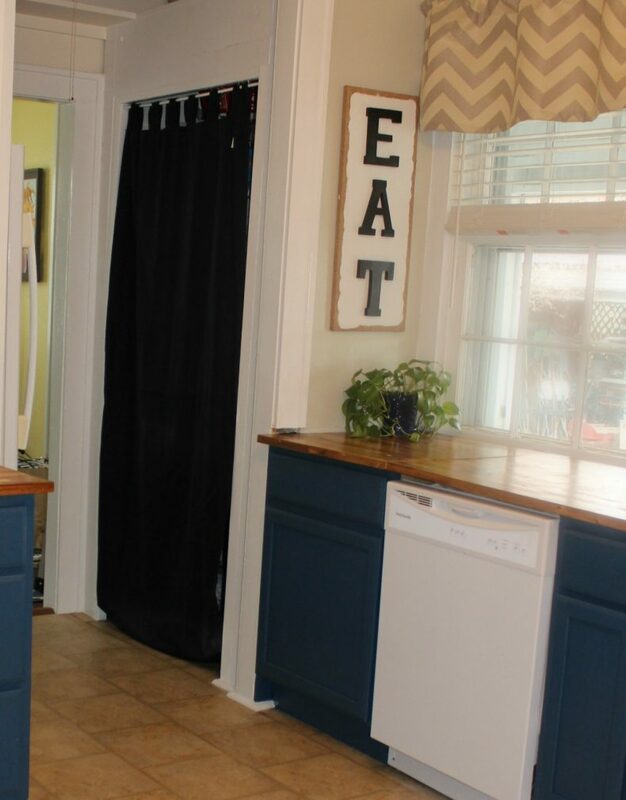 If you’re looking for an even simpler sign tutorial, click here to learn how to make this cute “EAT” sign in just minutes. 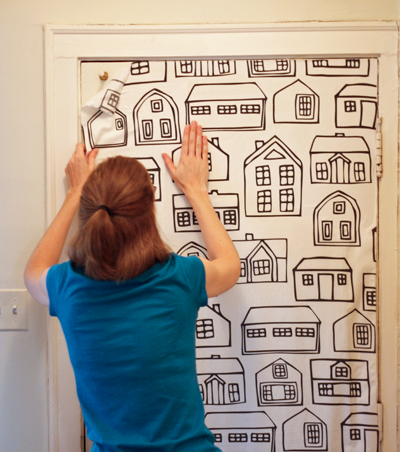 Use liquid starch and fabric to create removable wallpaper! Learn how to achieve the perfect patina on brand new items! These have been blowing up the internet this year! Can’t knit? Then give this a try! 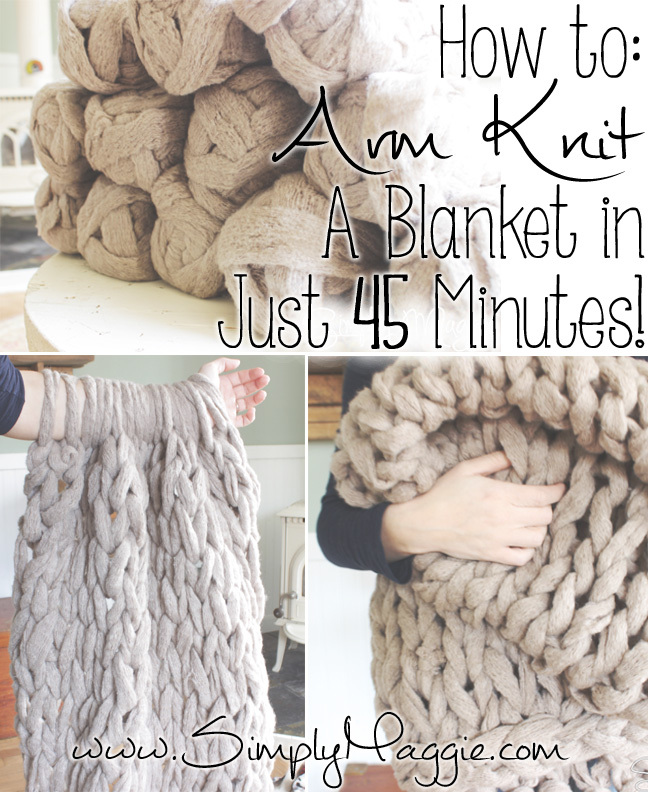 Learn how to make a beautiful, chunky throw blanket using yarn and your arm. Full tutorial on Simply Maggie. 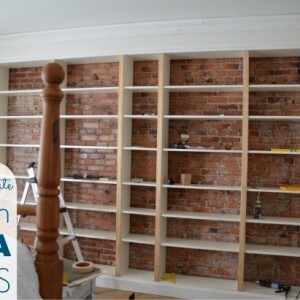 Create DIY shelving between two builder grade cabinets for custom storage and interest. This tutorial unfortunately is on a website that no longer exists. 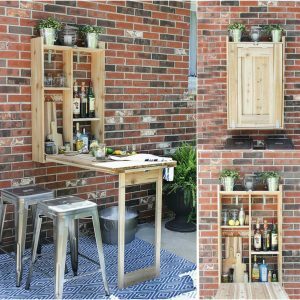 However, I love this shelving hack idea! 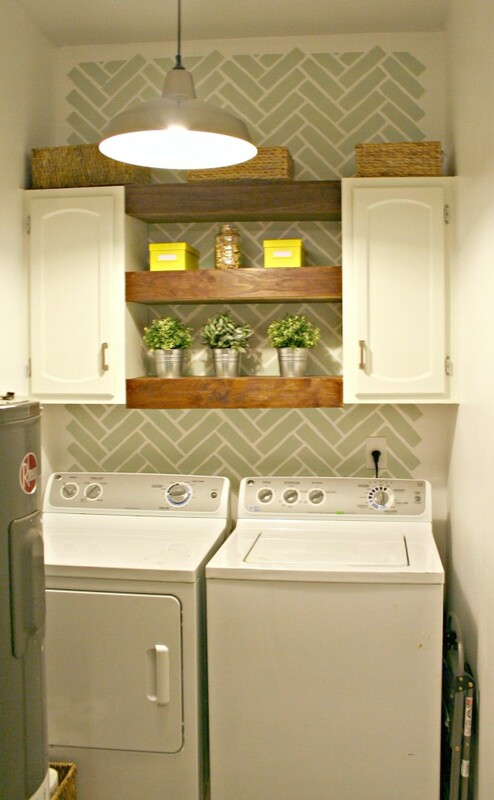 Featured here alongside other clever laundry room ideas. 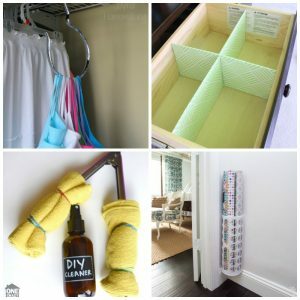 If you are short on cash, ModPodge is your friend! 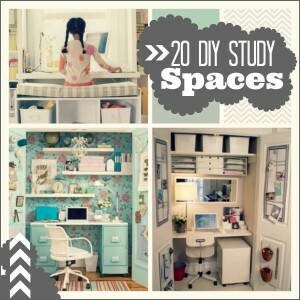 Learn how to hack your dorm decor with these creative dorm room supplies made to custom fit your idea of beautiful. Directions found here at Home Stories A to Z. Beauty is in the details and discolored outlets can ruin your decor vibe! 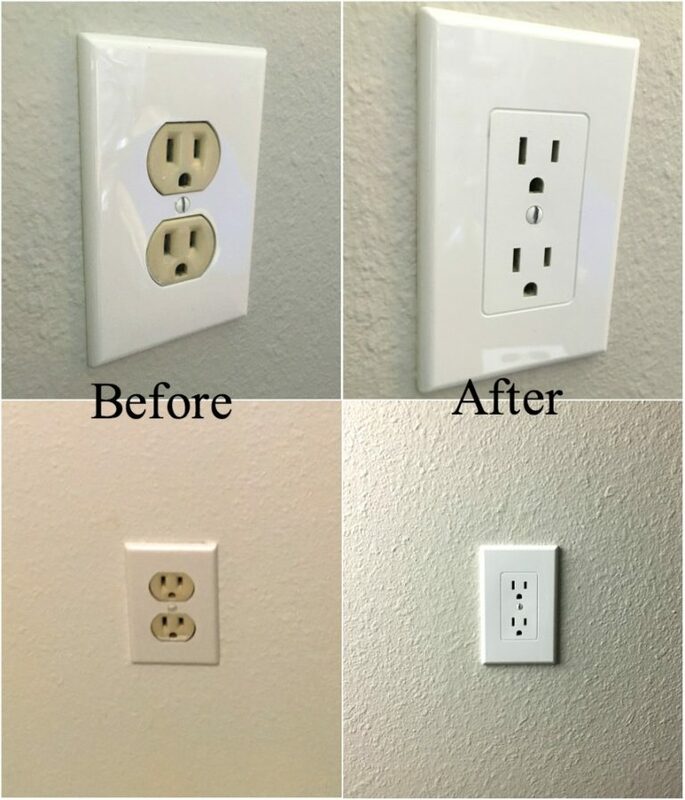 Try this easy electrical outlet hack to update your look. 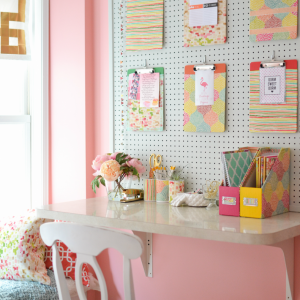 Get the details on Dream and Design DIY. 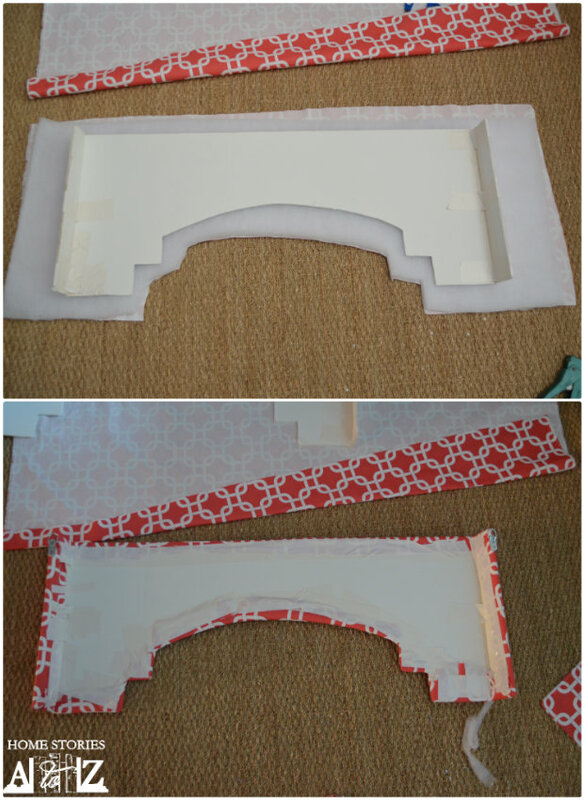 Instead of wood, use foam core board and duct tape to build an easy, lightweight, inexpensive window cornice! Full tutorial here. I’ve been using this tip for years and it hasn’t failed me yet!